Imogen's Typewriter. : Books I Took to YALC! Books I Took to YALC! This wasn't a YALC related book, but I thought I'd throw it in anyway because I did take it with me. Hello essay due in on Friday. Hello finishing that essay at 10pm. Fun. Although my grade was surprisingly good so maybe I should panic-write essays more often. I wasn't sure on going to YALC if I'm honest. I won the tickets but I was worried about my rubbish health and how I would manage. Then I saw that Chris Riddell was going to be there. He is, without a doubt, my favourite illustrator and these books were a massive part of my childhood. I knew I had to meet him. And I read that there had been a 3 book maximum on signing in past years (not true this year but hey) so I picked my favourites! I really liked Half Bad when I read it a year ago, and it inspired my own novel quite a bit so I pulled it down from my read shelf and packed it carefully away. I actually managed to get this signed (and got a selfie with Sally Green) so it was worth the weight. I read Other Girl way back in April of last year and loved it! It was a five star read for me. I really recommend it to people in their teens because it is just wonderful at capturing the problems of that age, and then adding superheroes! She's lovely by the way and I went to her workshop which was great. But I'll get into that more in my YALC experience post. This was one of those, I'll take it just in case books. I didn't manage to see Lauren James as her line was really long. However, since I'm only half-way through The Next Together, I wasn't as sad as I might have been if I had missed the other authors I met. I bought this way back when and decided to hold off on reading it because it's a 7-book series and they're being published very slowly. However, I took it anyway and after going to a panel where Samantha Shannon was talking, I was glad I did. I got it signed and I think I'll be starting this series soon because colour me intrigued! 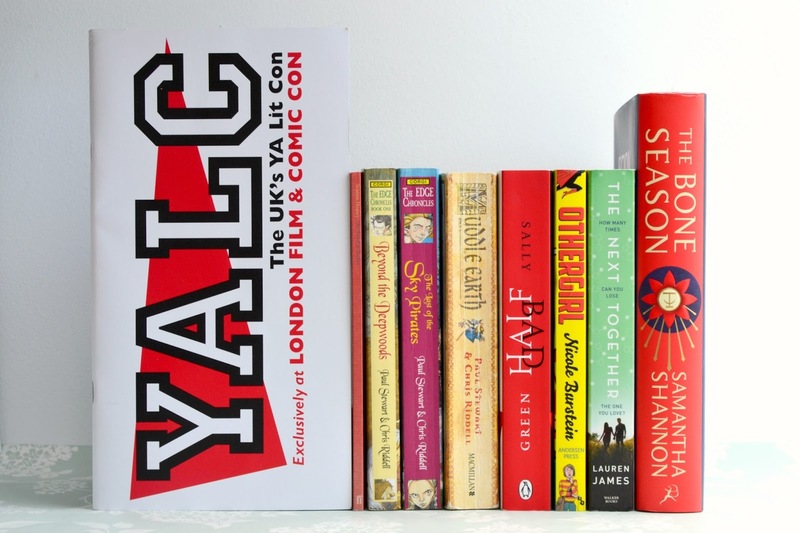 Did you go to YALC? What books did you take? Book Review: Obsidian by Jennifer L Armentrout! Comic Books I Read in June and July!